Congratulations to Scott Arthofer of Sun Prairie, Wis., our weekly, randomly selected DCI.now prizewinner from the week of Wednesday, June 28! 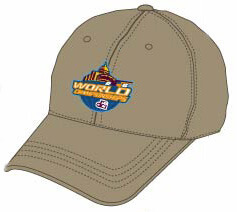 Arthofer receives a khaki 2006 DCI World Championships hat. You too can be a DCI.now prizewinner! To enter the fan appreciation giveaway, you need to subscribe to DCI.now which allows you to stay current on DCI news and receive announcements on upcoming events and promotions.